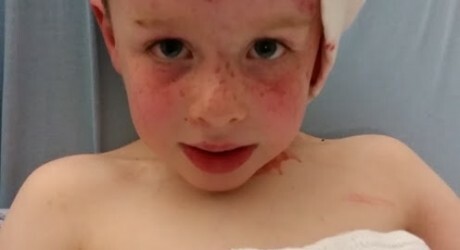 WITH over 1,000 children and adults said to have been admitted to hospital following dog attacks in the NHS Greater Glasgow and Clyde health board area in the first six months of 2017 alone, Radio Clyde has launched a campaign entitled ‘Lead the Way’ to change the law in Scotland. The station is calling on the Scottish Government to review the current legislation to prevent dog attacks which it believes isn’t going far enough to provide adequate protection. Radio Clyde has already secured the support of former Social Justice Secretary, Alex Neil MSP, who first introduced the Control of Dogs Act to Scotland in 2011. Mr Neil, the SNP MSP for Airdrie and Shotts, has raised a motion in the Scottish Parliament on behalf of the station, securing a parliamentary debate which takes place at Holyrood on Tuesday, 8 May. MSPs from all five of Scotland’s major political parties support the campaign* (A full list is below) and the station is calling on more politicians and the general public to lend their support to this cause to evoke real change. Radio Clyde has also garnered support from the Scottish SPCA, the Royal Mail and the Communications Workers Union. The station is asking the Scottish Government to either ring-fence cash for animal control wardens so that the Control of Dogs Act can be properly enforced or re-introduce a license fee with the funds raised being put towards animal control wardens to properly enforce the Control of Dogs Act. Three families whose children were attacked by dogs in separate incidents while they were out playing in their local areas are also supporting the initiative and the station recently took the families to the Scottish Parliament so they could meet with MSPs and share their experiences ahead of the debate. Radio Clyde shared the experiences of two of the families. Two dogs mauled Claire Booth’s son, Ryan, as he picked acorns in Bishopton, Renfrewshire, in 2015. He was six years-old at the time of the attack and has undergone five surgeries to repair damage to his ear, which was ripped off in the attack. Claire said: “It’s been an emotional rollercoaster. Ryan in appearance is doing brilliant but he has a disfigurement. He is terrified of dogs now and I have experienced a lot of emotional trauma as a result of watching these two dogs maul my son. I’ve had flashbacks and I’ve been treated for PTSD. Stephanie Kelly’s son, Logan, was attacked by a neighbour’s dog as he played outside their Carluke home in September 2014. She said: “He’s totally different now. He’s full of anxiety and he has nightmares as a result of this attack. “Logan was terrified. He never went outside for 20 months after the attack and we had to sell our home and accept a loss on it to get away from the dog because no one was able to do anything to get us justice. “It’s affected our whole family. We’re seeing a psychologist which has helped but he is still so scared. He has PTSD and it could take years to treat. The station has provided a sample letter which listeners can share with their local MSP ahead of the parliamentary debate on Tuesday 8 May. MEDIA RELEASE issued by The BIG Partnership. You too can share your stories (aka press or media releases), on this site. Email here for more information. Stay connected with our various twitter feeds: Charities, Drink, Education, Energy, Fashion, Film, Food, Gardens, Legal, Motors, Music, Outdoors, Property, Science and Sports. And not forgetting Finance, Theatre, Travel, Festivals, Visual Arts, Aberdeen, Dundee, Edinburgh, Glasgow, Inverness, Perth and Stirling.